Sources inside Sony say that PS1 and PS2 emulators are heading to the PS4 and will be equipped with native HD upscaling. 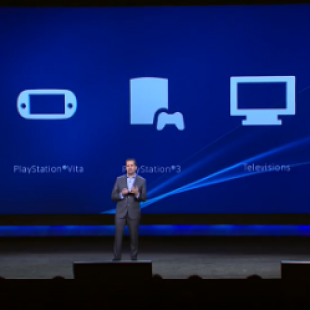 Arguably one of the most exciting recent PlayStation announcements was the CES reveal of PlayStation Now, a planned streaming service that will make older PlayStation games accessible to platforms including PlayStation consoles, tablets, smartphones and TVs. At its initial announcement, many assumed that PlayStation games from across numerous generations would be included in the service. According to apparent sources inside Sony however, Now will only include more recent PS3 games. The emergent question, of course, is what the company plans to do with its extensive library of PS1 and PS2 titles going forward. Those same sources, in turn, suggest that Sony is planning to update the PS4 with new emulators that would allow for PS1 and PS2 titles, disc-based and digital, to be played on the console. The emulators in question will apparently also include enhanced visuals that would provide native HD resolution similar to those found in PS3 HD collections. This would be a significant upgrade over the upscaling on the PS3 which was, at times, less than perfect. While this move could upset PlayStation fans looking forward to a Now library including more than just PS3 games, it would arguably make sense for the company in some ways. For instance, PS4 emulator options would make it possible for Sony to keep selling its older titles as individual downloads, which we can only imagine is lucrative. All of that said, it's important to remember that none of this has been confirmed by Sony itself and that it could all turn out to be hogwash. Even so, we have to say that we can think of far worse things than having an emulator-equipped PS4, even if it does mean a lesser PlayStation Now.